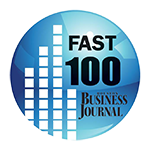 Earth First Landscapes is honored to serve Houston with commercial landscaping and proud to have made Houston Business Journal's Fast 100 List this year! Earth First Landscapes in Katy, Texas focuses on commercial landscaping, irrigation, hardscaping and sports fields in the Houston area and is proud to have been named fastest-growing company in Houston by the Houston Business Journal. With humble beginnings and over five years of establishing its roots in Katy, TX, Earth First Landscapes has entered a period of significant growth and is approved to begin working on public projects for municipal utility districts, municipalities and developers. 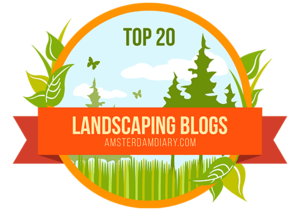 Our team at Earth First Landscapes is proud of this acknowledgement and grateful for the opportunity to serve Houston with commercial landscaping and irrigation needs. We've established ourselves, over the past five years, as a viable commercial landscape contractor willing and able to take on significant public projects. Starting with small, $10,000 projects, we later received approval for a $100,000 project for Schlumberger Ltd. and a $200,000 project at Queenston Manor apartment complex. Current projects are coming in at the $300,000-400,000 range with our largest project this year being a master-planned community in Humble by Crescent Communities called the Groves, allowing Earth First Landscapes to provide landscaping, irrigation and hardscaping, bringing in $780,000. Even more, that record will soon be topped thanks to a recent contract for more than $900,000 of landscaping in Manvel. Our team at Earth First Landscapes in Katy, Texas could not be more excited about the opportunity to provide commercial landscaping and irrigation to the great communities and companies of the greater Houston area. If you're looking for commercial landscaping near Houston, contact our team at Earth First Landscapes!